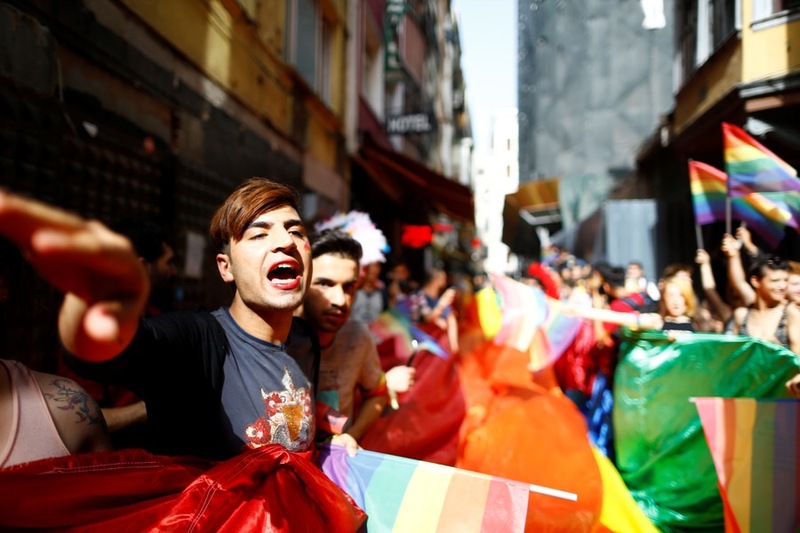 LGBT rights activists hold a rainbow flag during a transgender pride parade that was banned by the authorities in Istanbul on June 19. LGBT rights activists hold a rainbow flag during a transgender pride parade that was banned by the authorities in Istanbul on June 19. Listen to The World's report here.